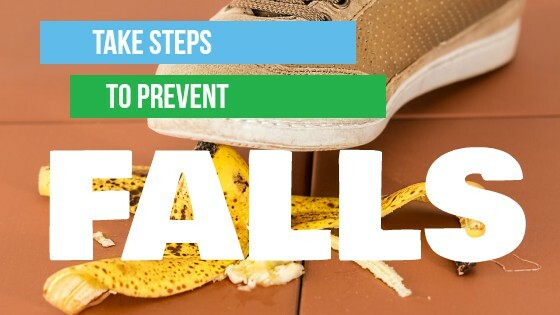 Falls are the leading cause of accidental death and non-fatal physical trauma among the elderly. Currently, the federal government spends over 19 billion dollars annually to treat the elderly after falls. That’s more than is spent on Section 8 rental housing, Food Stamps, and Temporary Assistance for Needy Families. In a study published in 2015 from researchers at Texas Tech, Kent State and Syracuse, data strongly supports the significant role of home safety and accessibility features to promote function within the residence and, in particular, to prevent falls, which often result in significant injury and medical expenditures. In their clever study, they collected data about healthy high-functioning widowed seniors who inherited a home with and features such as shower seats, grab bars, railings, and ramps after a spouse with a disability died. These people experienced 20% fewer falls comparison to similar healthy, high-functioning seniors people with homes lacking these features. The effect is stronger for men and those over 75. The cost of completing all of these home improvements averaged $1,500. Virtually every AARP study reflects the strong desire by seniors to live independently and age in place. Part of this stems from the familiarity, emotional, and social attachment to a residence and neighborhood. Another part stems from what appear to be high psychic and economic costs of moving. Seniors are 10% more likely to enter a nursing home early due to a fall in the home. The study reported that while the average medical cost of each senior fall is $7,300, seniors typically pay only 3% of this cost. This leaves little financial incentive to invest in home safety and accessibility improvements. This ignores other costs: for example, the psychic costs of falls to the elderly and loved ones, plus the formal and informal costs to family and friends providing post-acute care given to those who fall. This study underscores the importance of planning for and investing in home modifications to support seniors and the extension of their independence …even high functioning and otherwise healthy seniors. This is especially true for men and those over 75. Eriksen, M. D., Greenhalgh-Stanley, N., & Engelhardt, G. V. (2015). Home safety, accessibility, and elderly health: Evidence from falls. Journal of Urban Economics, 87, 14-24.